Want something different from the traditional fake brass figure on a wooden stand for your special award ceremony. 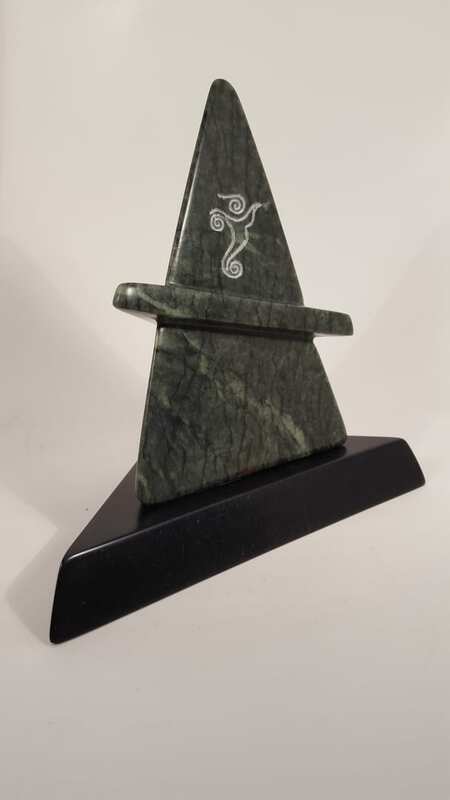 Nothing is more unique than having an individually designed and hand crafted stone sculpture as an award. 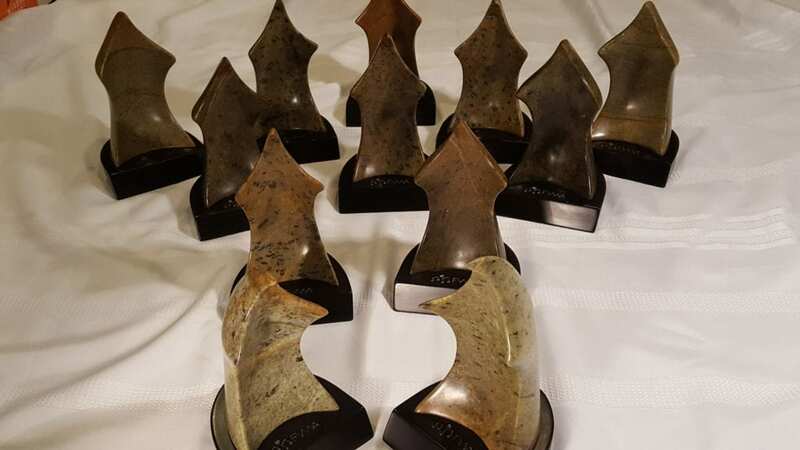 These unique awards are hand crafted by the artisan. No mass production here. Truly something extra special for that award recognition, corporate gift or sport achievement. 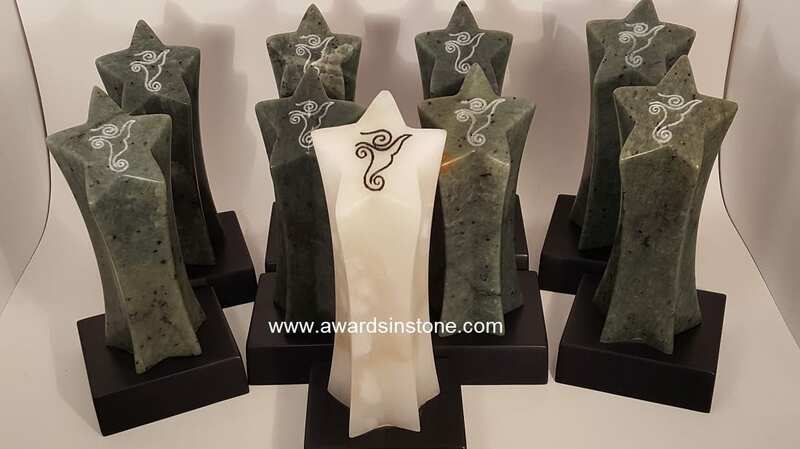 Each stone award is individually designed by the artist for the intended extra special event or recognition. 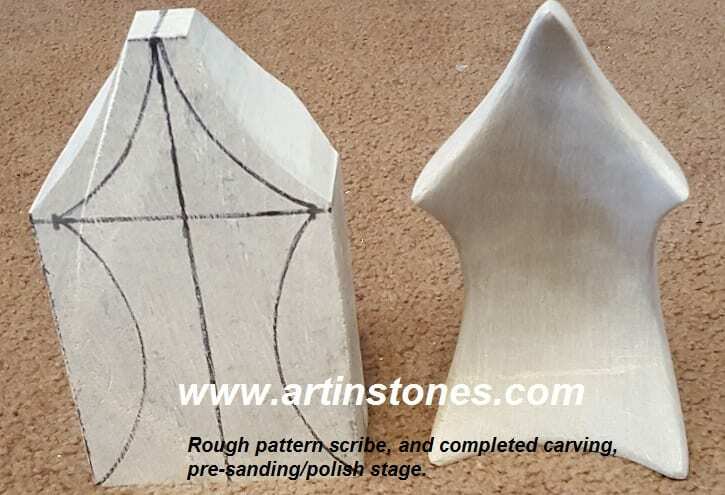 These are artistic stone sculptures, designed and created by the artist. Truly a show case award. Below are some gallery pictures of past award creations. Contact me for a quote to provide something special for your award event. Free shipping offered for orders over $75.00 within North America.